We have to say that this time of year is certainly one of our favorites here at Sammy’s Limos. Sure, we’re a bit sad to see 2014 go because it’s been such a great year for us, but we love the festivities that come with this time of year. As you get ready to take time off from work for the holidays, we hope that you and your loved ones will have a splendid holiday season. With so much going on during this time of year, there are plenty of holidays and get-togethers that are likely filling up your social calendar. And as much fun as all of those parties can be, everyone knows that there is likely going to be a lot of alcohol flowing at these events. With that in mind, it’s important that you do all that you can to be as safe as possible this holiday season and into the New Year. Instead of taking the risk of driving while intoxicated, consider how luxury limo rentals might be the perfect choice for you in the coming months. If you are heading to a holiday party, a Santa Barbara limousine service can pick up you and all of your friends to make sure that everyone is safe. Whether it’s a Christmas party or a night out for New Years, you can avoid traffic by having your own personal driver. And when you consider the fair price of a limo rental cost, it’ll be much cheaper than what you’ll have to end up paying if you get a DUI. That said, if you do get a DUI in Santa Barbara, consider the services of an experienced Santa Barbara DUI lawyer such as Kenneth M. Hallum, founder of DUI805. Your holiday season is something that you want to remember for a lifetime. To ensure that you find the best Santa Barbara limos services for you this holiday season, here are some things to keep in mind. Your limousine driver is almost as important as the limo itself. That is why it’s important that you have a driver who is professional and experienced. When it comes to driving, their experience will come in handy to ensure that you get to your destination on time. In addition, a professional limo driver is one that will go out of their way to ensure that you have a night that you’ll never forget. To find out how reputable a driver is, head online to see what others are saying. You’ll be able to tell which limo companies take the time to ensure the most professional drivers based off what others are saying. If you want to ensure that you have a great night, then be sure that you go with Santa Barbara limos services that others rate highly online. The amount of people that you have in your party could determine what sort of Santa Barbara limo service you need as well. For example, if you have family coming in for the holidays, then you may want to consider a limo service to LAX as a way to pick them up in style. In addition, if you are planning a night out for you and all of your friends to ring in the New Year, then Santa Barbara party busses may be what you need. By finding a limo service that accommodates to the amount of people in your party, you’ll have much better luck keeping everyone happy this holiday season. After all, nobody wants to be left out of an unforgettable night in a party bus. Renting a limo isn’t just a popular choice during the holidays. Instead, there are plenty of times throughout the year that you may need a limo. Therefore, look for a company that you can build a relationship with and use again in the future. For example, you might need a limo service for prom for your children, or maybe you want to take in one of the Santa Barbara wine tours with your spouse. In either event, having a trusted limo company that you’ve worked with before will help you feel better about hiring them again. With professional limo services, you can truly enjoy your holiday season. To make sure that you get the best team for the job, be sure to consider these factors in the search. Sammy is giving away a limo ride to Santa Barbara High School Students this month? In an effort to motivate local high school students to apply for more college scholarships, Sammy’s Limos and Tours, a Santa Barbara limousine company, is sponsoring a Facebook contest for students of Santa Barbara High School. The prize is a free limousine ride for eight people to one of the school’s Santa Barbara Dons games. To qualify for the Santa Barbara limo ride, students should visit Sammy’s Facebook page and click “LIKE” to be entered into the monthly limo drawing. The next step is to share a short story about the steps the student is taking to qualify for a college scholarship. Sammy’s will judge the entries for the most creative idea, with the winning story being announced on December 30. READ MORE HERE. Q: Do I have to tip my limo driver? 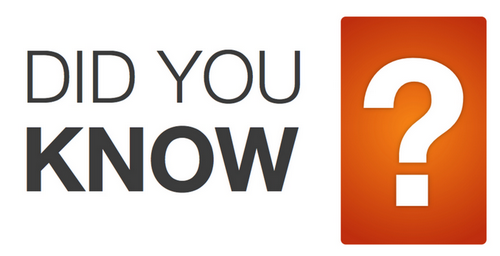 A: It is quite common for patrons to tip their drivers after the evening has concluded. In many cases, a driver will go out of their way to ensure that you have a special evening, and therefore you can choose to compensate them how you wish for their efforts. Q: How far in advance should I rent a limo for a holiday party? A: Limousine services can fill up quite quickly during the holiday season. That’s why it’s a good idea for you to plan your limo rental as soon as possible. The closer you get to Christmas and New Years, the harder it will be for you to find a limo service that still has availability. If you are just looking for something special to do this holiday season with your family, here are some great events around Santa Barbara that Sammy’s Limos can take you to. Sharks…Bite Size – For those of you that are looking to learn about the marine life that lives off the shores of the Santa Barbara beaches, come check out the Sharks…Bite Size showcase at the Santa Barbara Museum of Natural History Sea Center. This showcase will be available daily from 10am to 5pm, and it’s perfect for kids and adults. UCLA Bruins Men’s Basketball Home Games – Looking for the perfect night out with your friends? Then consider limo services to a UCLA Bruins men’s basketball home game throughout the winter season. Not only can you avoid worrying about all of the traffic going to the game, but you can also make sure that you get home safely with a personal driver. 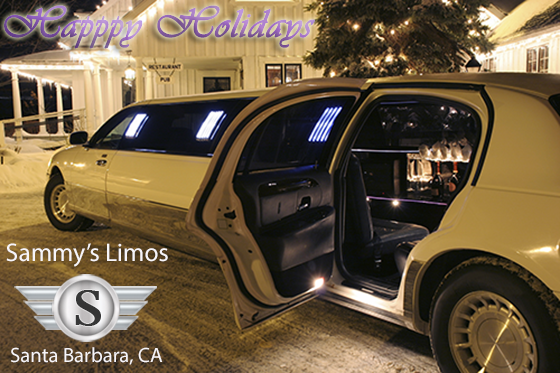 About Sammy’s Limos and Tours: Since 1992, Sammy’s Limos has been Santa Barbara’s number one limos and tours company. Sammy’s Limousines offers the finest in luxury with a top notch fleet of limousines that are available for Santa Barbara wine tours, Santa Barbara weddings, Santa Barbara proms, and Santa Barbara sporting events. Visit the website and Facebook page for special discounts. It would be so fun to rent a limo after our annual Christmas party. My friends all come over and we always have a lot of fun. It would be so much fun to all pile in a limo, and drive around and look at Christmas lights.